Whatsapp keeps adding different types of updates each time to give users a great experience. Whatsapp also gives its users the ability to send essential goods with great messaging speed. But this time, keeping in mind the users' needs, WhatsApp is going to bring together three unique features. So let's know about these three new updates of WhatsApp. Users can still add photos and GIFs to Whatsapp status. But making this feature more fun, Whatsapp has added to the choice of colorful status. Users will get this option in status only. Whatsapp users will soon be able to see others' DP zooming. However, this feature is available only for beta users of Whatsapp. But soon this feature will be available to all users. 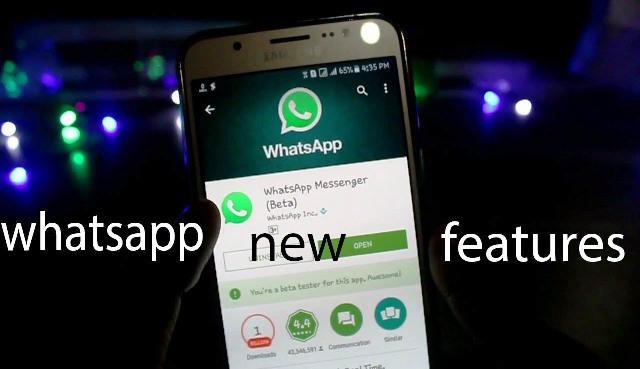 Many times users cannot recognize the message when the message comes from the number without saving, in such a way, Whatsapp has added a new feature so that the registered name of the messenger will start appearing. Truecaller users can now identify unknown senders on messaging apps, according to the company’s blog post. The feature is only available on Android and can be turned on in the Auto Search Truecaller settings. Once switched on, it identifies unknown numbers from WhatsApp, Line, Viber, and Telegram. Truecaller also comes with several new features, including the ability to make calls directly from the app; and identify numbers before calling them. It has a built-in dial pad to call people straight from the app. Next up, is the Smart Call History feature in Truecaller, that will show call history in the app with names instead of the unknown number. Users can copy numbers from anywhere on their phone, email, websites or social media; and Truecaller automatically searches for the number without opening the app. Truecaller Caller ID works offline too, which means that it will show caller information, even if the person had called in the past. Truecaller will show the Caller ID again even without an Internet connection. Truecaller’s most recent update brought in features like Smart Call History and Availability. One of the key features of the latest update was the introduction of a dialer app in the main Truecaller app itself. This feature allows you to directly place calls from within the app. The Smart Call History replaces all unknown numbers in your call history with real names and photos from the Truecaller database. The Availability feature shows a green dot and a red beside the contact to tell if they are available or busy respectively, allowing you to chat with them. But the chatting option is only viable if your contacts have Truecaller as well. Truecaller is now making itself an “identity” platform. A few weeks ago it had announced an SDK that app developers could use to verify the user’s credentials. It partnered with Monster that is now using this feature.